A placement in a specialist care home is not always top of the list for nursing students looking for wide-ranging experience. But nurse manager Becky Cowell says the approach to learning at her workplace is helping to change perceptions. ‘In this kind of environment, you come across so many different scenarios,’ says Ms Cowell, who works at Hilltop House in Northampton, a care home that provides a range of services for men with brain injuries. Hilltop House, which is part of the Oakleaf Care Group, offers acute assessment and rehabilitation for more than 50 men aged 18 and over with an acquired brain injury, including those caused by accidents, strokes or cardiac arrest. Although the home has been accepting students on placement for several years, numbers have risen significantly in that time – from one or two a year to around 20 in the first eight months of this year. They come for between five and 11 weeks. Most are based at the University of Northampton, but can also come from universities in Bedfordshire, Leicester or Milton Keynes. 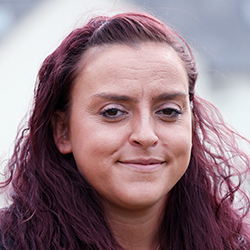 ‘Over the past couple of years our links with local universities have become much stronger,’ says Ms Cowell, who qualified as a mental health nurse in 2012 and joined the home in 2016. Hilltop House clients have an initial assessment to see if the service is suitable for their needs, then an individual programme is drawn up based on their interests and abilities. This incorporates different forms of rehabilitation, including speech and language, occupational, horticultural and physiotherapy. The service also has five community houses that provide varying levels of support for residents to either maintain their skills or try to increase them, so they can live more independently. A palliative care unit serves those approaching the end of life. At its most recent inspection, the Care Quality Commission (CQC) described the service as outstanding. In the past, placements were only offered to learning disability and mental health students, but the service now accepts adult nursing students too. ‘Our students were going back to their universities and talking about how much physical health experience they were gaining here,’ says Ms Cowell, who is also a mentor. So successful is their approach that several former students have applied to work at Hilltop once qualified, including one of two new nurses who started in September. 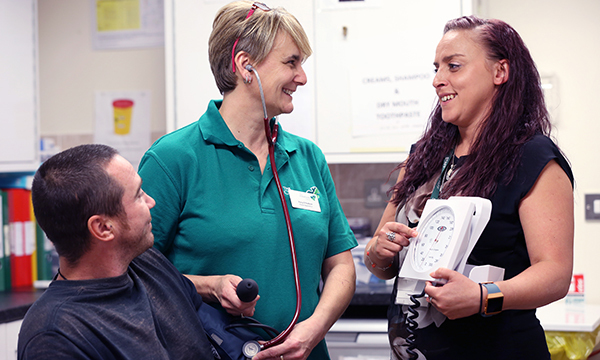 ‘We take them through preceptorship, with a programme that includes all the skills they need for their practice portfolio, but focused on what we do here,’ says Ms Cowell. They also develop their existing staff. 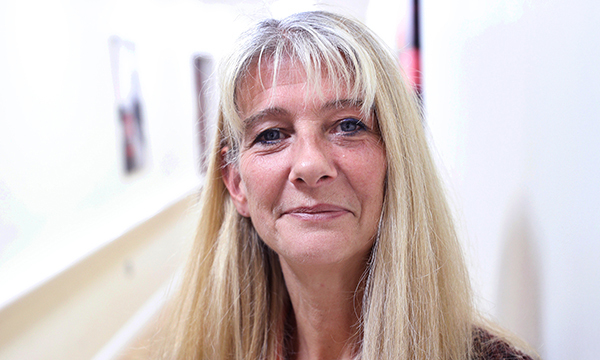 Therapy assistant Tracy O’Sullivan was offered a nurse apprenticeship, which she began in September. The home is one of five taking part in the second phase of the Teaching Care Homes project, which began in 2016. 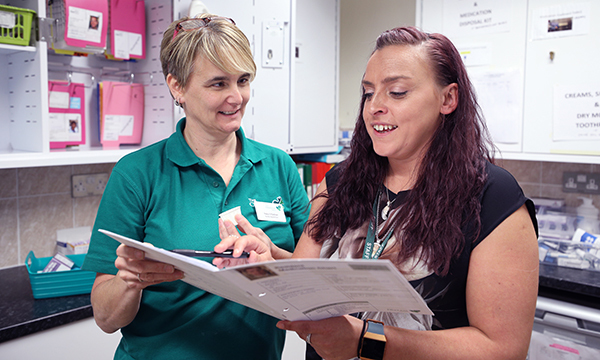 Led by Care England and supported by the Foundation of Nursing Studies, with funding from the Burdett Trust for Nursing, the project aims to develop a network of homes that will become centres for learning, practice development and research. Each is developing strong working relationships with education providers, alongside being a resource for other care homes. ‘Students can sign off on their whole portfolio here, if they’re proactive,’ says Hilltop House unit manager Karen Eastwood, who qualified in 2012. Ms Eastwood is one of seven nurses who have joined the home’s nursing staff after being at Hilltop House as a student. ‘It was always my desire to come back,’ says Ms Eastwood, who also worked at Hilltop as a support worker before she began her nursing degree. Being able to follow a patient’s whole journey of care over several weeks provides students with a unique experience, she believes. ‘My last student was able to do an initial assessment, admitting the person and caring for them right through to discharge. It was really satisfying for her,’ says Ms Eastwood.